Gil Brandt just released his top 150 draft prospects. Where do some Bengals’ top prospects fall on the list? Former NFL scout and executive Gil Brandt just released his “Hot 150” top prospects entering the draft this year. For his top pick, Brandt ranks Ohio State standout Nick Bosa as the top prospect. Alabama’s Quinnen Williams is the second-ranked prospect, just ahead of Josh Allen and Ed Oliver. Kyler Murray, who seems to be the consensus 1st overall pick, is actually ranked number seven on Brandt’s list. Last year, Brandt ranked Billy Price at 62, which didn’t stop the Bengals from taking him at 21st overall. But this year, he ranks some of the Bengals top targets much, much higher. For example, this offseason seems like it has been a tale of two Devins, with most projecting either Devin White or Devin Bush to fall to the Bengals at 11th overall. White ranks 8th while Bush is the 15th prospect on the list. Some potential first rounders, like Allen and Oliver, are three and four, respectively. Others rank lower, like Cody Ford at 23. Brandt’s ratings are typically accurate, so this is more or less what the draft could look like. How the Bengals’ draft could be different with an offensive or defensive focus What if the Bengals addressed just their offensive needs in the draft? What if they focused on just the defense? These two mock drafts give us an idea of what those separate plans could look like. Bengals news (4/21): Hopping into spring The rumor mill is in full speed as the NFL Draft is less than a week away. What if the Bengals traded down in the first round? What would the Bengals be able to get for the 11th overall pick? 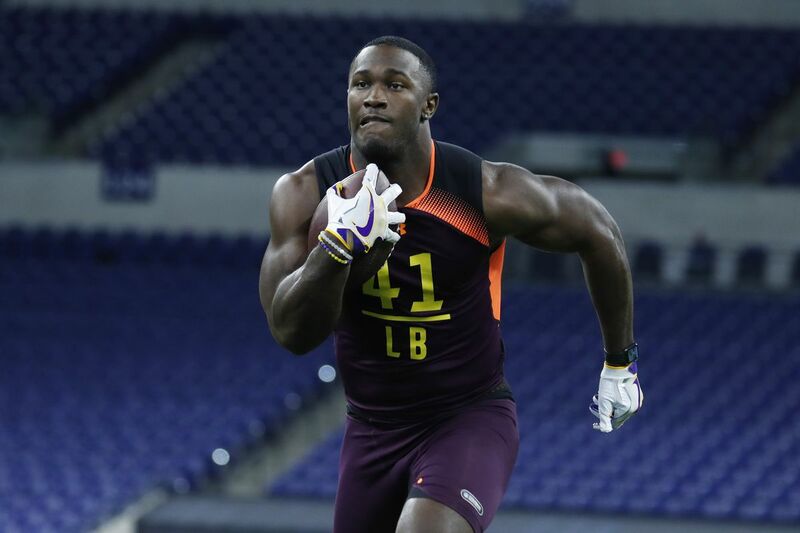 2 scenarios for a 5-round Bengals mock draft Two Cincy Jungle contributors recently got together to give their thoughts on how the NFL Draft could play out for the Cincinnati Bengals. Projected top-10 pick Montez Sweat found to have unusual heart condition Promising first round prospect has been taken off of several teams’ draft boards because of his unique heart condition. This Article has a component height of 28. The sidebar size is long.